Kathy I want to thank you so much for all the work you did to sell my home! I know how hard you worked on my home to get the best price possible for me. You made my move so much easier by contacting U-Haul and getting prices for me, picking me up to take me places to settle my affairs. Thanks for taking care of me -at my age of 77 years old I really wanted to go live with my daughter in SC. and you made my life so much easier. I cannot tell you how much I appreciate you and what you did for me! I was never expecting my Real Estate Agent to care about me the way you have and the lengths you went to to make sure after the house was sold I had a nice place to call home. If I can recommend Kathy to anyone I always will. We were looking at some investment properties in Spring Hill Fl and contacted different agents to show us their listed properties, most of them were nice and a couple of them were somewhat careless, maybe because we didn't look like investors and they didn't take us that serious. Then we came across Kathy, I still remember she asked us if we had an agent, and when we said no, she let herself go and showed us 4 properties that day. She already knew what was out there and knew which ones were the good deals. That year (2011) we bought 3 properties, 1 in 2012, and 2 in 2013 so far. As an investor we are not just looking for a house, we are looking for good business deals and 6 properties later we are 100% sure that Kathy has help us making the right decisions. She doesn't sell houses, she offers a full real estate service. She will find the right house, fight for you, be on your side 100%, help you fix it, refer you to the right person if you need something done, what else can you ask? We are constantly looking for properties and she always has her eyes open for us, when we see something first, she will research it deeply for us, making sure we are making the right move. When she sees something we might like we will study it together before making a decision. For all of the above Kathy has become a family friend and we highly recommend her for all your real estate needs, but leave the good deals for us!! Right now we are in the process working on a home in FL. We are living in NY right now. I recommend Kathy very highly. She has went way beyond her means to help us. I never seen a realtor work so hard for her clients! This page isn't long enough for all the praises I have for Kathy. If your selling or buying a home in the FL area give her a call it will be worth your wild. NO stress, no headaches like with some Realtors,. She works very hard for you!!! LOVE HER!!!!! can't THANK HER ENOUGH!!! HIGHLY< HIGHLY RECOMMEND! Kathy sold me 2 homes in Florida. She has always been there to help me with the professional handymen, lawn care people, and whatever I've needed to improve my homes. This was especially helpful since I moved here from out of state. She has been the most honest professional realtor that I have ever worked with. Thanks Kathy for all your help and making the move to Florida so easy! 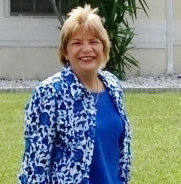 Thanks Kathy you have always been there for me, I bought my 1st vacation home while in PA. You shopped diligently went to homes and took pictures of all the homes that I liked and you gave me your option on them. We finally found a house that I fell in love with. I bought that home from you and we remained in constant contact. This August I bought another home from you and you are now renting out my first. YES I WOULD HIGHLY RECOMMEND YOU TO EVERYONE! Marcie C.- Spring Hill, FL PT. Thanks Kathy you’re the Best! I know my brother, sister and I could never have done what you did to sell my mom & dad's house. You had the whole house packed up for us and besides it being an emotional time for us all we all live in different states. Thanks for your sweat equity you put in also to get us the best dollar amount. I Highly recommend you an Agent to Anyone! You truly are the Best! Great agent, honest and clear in the process to buy our new home. She helped us to find the needle in the hay stack. We wanted the best home at the very best price and thanks to your efforts and your determination we bought our dream home! You are a professional and highly competent. Kathy I have to say I have bought 4 other homes in the past but you were the one I would HIGHLY RECOMMEND. You have gone way above any other Agent I have had in the past. I called you at 7am and 10:30pm and you always seem to pick up the phone. I might have been a bit of a pain but you kept me free from stress. Thank you Kathy you are the Best! Kathy you were the best Realtor I worked with, I worked with 3 others before you and you were the one that never gave up. You took extra care of my needs and wants and I must have dragged you to 40 different homes in a short period of time. Thank you for not only being the Best Realtor but also being a great friend. Working with Kathy Schmidt was Amazing! Very experienced and willing to go above and beyond to help you! I felt blessed to have Kathy help me. She was knowledgeable and personable. This is how you get the job done! Great job Kathy, I love ya and will always keep in touch with you! Hey Kathy thanks for all your diligence to find the home of our dreams, we love our new home and you came highly recommended by my brother. You will always be a part of our family! Keep up the great work! We have been working with Kathy for over two years on multiple investment properties. Kathy has been outstanding to work with. She is very attentive and follows through to the end. It took us quite some time to get through the financing process, but Kathy stuck with u. If you're looking for someone who cares about her clients, I recommend her for sellers and buyers.